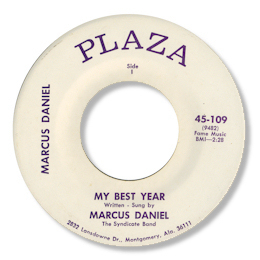 Lewis Marcus Daniel is a name that southern soul fans should know. It has appeared on a pretty good number of the best Muscle Shoals songs – like “Tell Daddy”, “Slip Away” and “Back Door Santa” for Clarence Carter. But he is considerably less well known as a singer, which is a pity as he was a good vocalist. Perhaps there was just so much competition in the 60s and 70s that he never really got a chance to shine. In any event I’m only aware of two singles that have appeared under his name, all four sides of which are naturally written by the man. 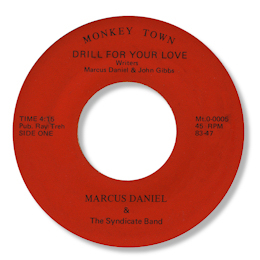 Both sides of the Monkey Town release are strong soul with the funky “Drill For Your Love” being perhaps the better side. The rarer Plaza disc is the one to go for however – not only are the songs better but also the rhythm section of the Fame Gang raises the quality threshold quite a bit. “Try Me” is a neat little item with just a hint of funk, but the mid paced beater My Best Year is classic early 70s Fame, great chugging drumming from Freeman Brown some superb electric piano fills from Clayton Ivey and those wonderful horns. On top of all this Daniel sings some fine lines in a light high baritone. Very nice.